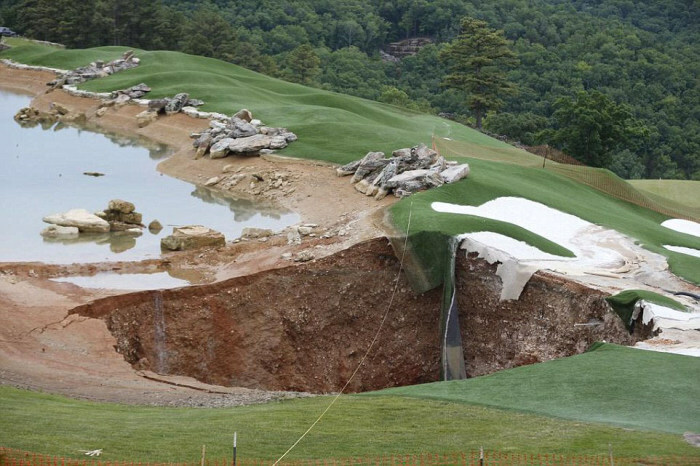 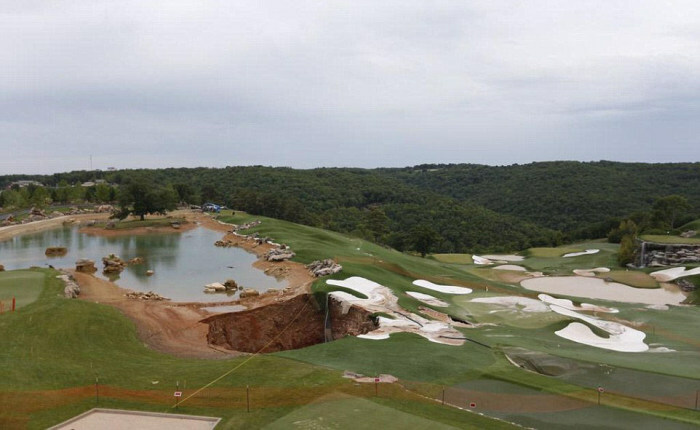 Golfers at the Top of the Rock golf course near Branson, Missouri got a huge shock early Friday morning. 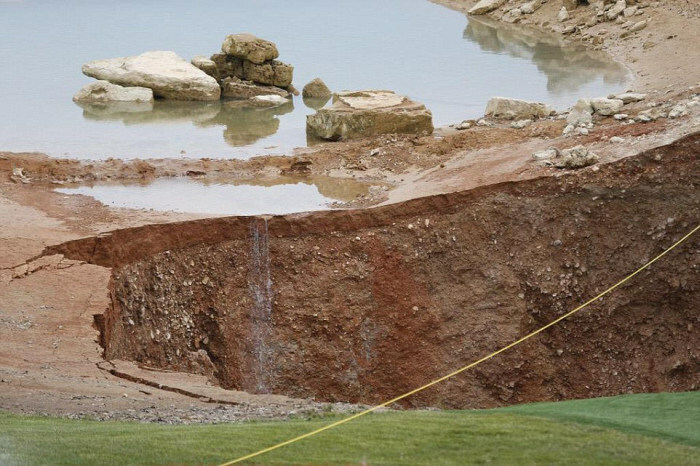 Two huge sinkholes collapsed into each other forming one massive sinkhole that swallowed a portion of the golf course. 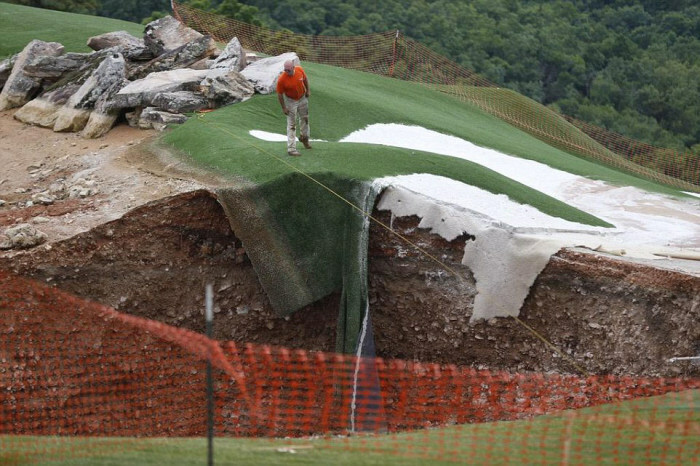 At least we now know the grass is fake.